An experienced trial advocate, Janick is most often called upon to fight difficult cases in which the odds are stacked against the client. 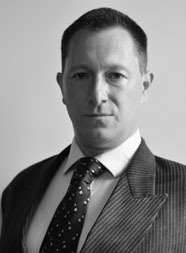 Well known for his fearless cross-examination and excellent closing speeches, Janick has for over twenty years been a first choice for solicitors who have attracted challenging cases, difficult situations and defendants who adamantly refuse to plead in the face of overwhelming evidence. Many of his finest results have come from those cases where the client has already sacked previous counsel after unwanted pressure to plead guilty has been applied. Janick’s tactical skills are increasingly called upon early in a case, sometimes even before a client is charged. His attention to detail and desire to prepare thoroughly to meet and address potential difficulties are well recognised by solicitors who pride themselves on providing a top class service. No matter how narrow the defence, regardless of how implausible it may seem on the facts, if the client insists on running it then Janick will be only too pleased to fight it. Janick’s willingness to work closely with his solicitors is often relied upon in managing cases where the client is particularly nervous or vulnerable, or where they have much to lose because of the devastating effect the proceedings they face will have upon their lives. In such circumstances, Janick can be relied upon to overcome those difficulties and achieve the best results. The majority of his cases involve the importation and supply of drugs, armed robbery and serious physical or sexual violence. His experience however is far more wide ranging and covers almost all of the criminal spectrum including environmental offences and health and safety. Janick is also experienced in contesting matters before the Court of Appeal and the Administrative Court, having taken numerous points on conviction and sentence. Janick’s practice is increasingly dominated by private instructions, thus allowing him to devote the time and care that each case truly warrants. He will accept a limited number of legal aid briefs, though only very serious or high profile cases. The defendant had spent the evening drinking with a friend before going to the Halo nightclub, Bournemouth. The Crown’s case was that having taken issue with security staff over his ejection for an earlier alleged altercation, he punched a doorman in the face, in full view of the CCTV cameras. During his subsequent restraint, whilst struggling and spitting at staff, he made numerous threats to come back and kill them. Once released, because no police were available to arrest him, he made further threats before being ushered away from the area by a friend. Shortly thereafter he ran to his car and, although significantly over the drink drive limit, returned to the club, driving at speed, mounting the pavement and crashing through the club’s barriers. Two doormen were struck, one going over the bonnet of the car. The defendant then careered into a lamppost whilst attempting to flee the scene. All of this was on CCTV. He fled the collision, grinning, before being brought to the ground and detained pending the arrival of the police. Testing discovered that he was as much as three times over the limit for alcohol and that he had taken cocaine. His mental health assessment, disclosed without proper consent, included a confession that he had consumed numerous drinks and cocaine that evening. The defence case developed a markedly different position. Though the consumption of alcohol and cocaine was accepted, along with the obvious dangerousness of the driving, it was averred that the defendant had been detained with such force by the doormen that there was no fight left in him, that their assertions as to threats made by him were largely lies and that he had been caused such pain that he had been reduced to tears and begging for help. On release he had simply wanted to go home, rather than to his friend’s flat, as had previously been arranged. It was only at the last moment, whilst waiting at traffic lights adjacent to the short, steep road that led to the club, that the defendant decided that it would be a good idea to mount the kerb and perform a drive-by, thereby scaring those who had earlier tormented him. Unfortunately, due to a number of factors, none of which were helped by his consumption of alcohol, the defendant lost control as he struck the kerb and then ran through the barriers, notwithstanding his efforts to break. The subsequent collision with the lamppost had also been due to his lack of control and judgement. He ran only because he was scared. Indeed, he was distraught by the effects of his actions, even though at the time he did not realise he had struck any person. Counsel argued that although the driving was horrendous, the evidence of intent was lacking and the gaps in the evidence and absence of expert analysis did nothing but compound this position. Disclosure enquiries and cross-examination revealed that scene photographs had not even been looked at by the Crown until after proceedings had begun. Similarly, a set of preliminary scene notes from an accident investigator had been left out of the papers and no report had been prepared, even though the lead officer conceded that the distinction between whether the collision was deliberate or may have been an accident was the central issue. The defendant distanced himself from his confession about taking cocaine, claiming that it had in fact been the previous evening, and counsel challenged any attempts by the Crown to rely upon the potential effects of such consumption in the absence of a toxicology or pharmacology report, neither of which they had. The doormen were cross-examined extensively as to their credibility, use of excessive force and failure to make professional records, as required by their industry, of key matters of fact that the Crown sought to rely upon. How their record in their incident log book had been erroneously copied, leaving out the partial and contradictory note of their restraint, was also a key issue. The only witness who gave evidence of the defendant’s grinning while attempting to escape was discredited in cross-examination and shown to be at variance with other evidence. The defendant gave evidence, a decision having been taken that the jury should hear about his drug abuse, discharge from the army and ongoing difficulties, as although these did not present him as an attractive personality, the same did go some way to negative the intent the Crown required to prove their case. The defendant was acquitted – Winchester Crown Court. Counsel represented a young man with very significant and complex mental impairment who had involved himself in a drug deal that had subsequently gone wrong. During the fight that had then been sparked, it was alleged he had stabbed another man through the neck with a knife. Police investigations claimed to have excluded all others from any wrongdoing, despite the obvious drugs matters and the fact that more than one individual was left with knife wounds. The trial therefore proceeded only against the defendant with special needs. Having secured his client the protections afforded by an intermediary, counsel set about demolishing the prosecution case. He had excluded a spurious confession it was claimed the defendant had made to another witness, secured the disclosure and admissibility of the bad character of the complainant and his friends, established the inaccuracy and dishonesty of all the civilian prosecution witnesses, uncovered various lies that ought to have been identified by the police and unmasked the injured party as a racist thug who had not only spent several years targeting Asians with violent and racist abuse but had also victimised this defendant. Thereafter the presentation of the defendant’s own evidence and deployment of well-prepared character material allowed for a speech demonstrating that in all probability the complainant had been stabbed by one of his own violent friends, and that the defendant was most likely their intended victim. The defendant was acquitted. – Guildford Crown Court.